The ESTEPE Transport Trailer (ETT) is an optimised trailer for the transportation of trucks and other vehicles. The ETT enables you to optimise your truck transport. This is because the ETT is fitted with a large number of hydraulic telescopic and folding parts that allow you to use the full height, width and length of the trailer. 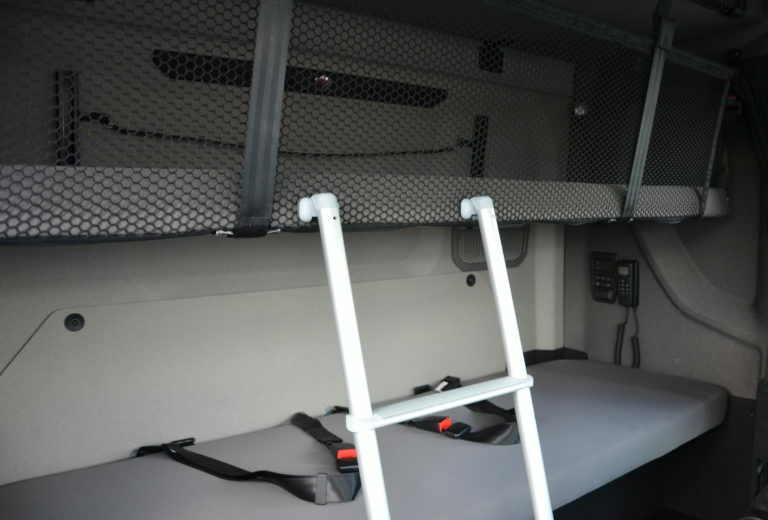 For example, the middle bed and rear section can be slided out and the deck above the trailer coupling can be completely folded forward. The base of every ETT is the same. You can expand it with different applications, such as a winch or extra storage space, all in accordance with your personal wishes. The extremely robust construction makes it possible to transport, e.g. two heavy construction machines. Would you like to receive answers to your questions or product information sheets? Contact us or leave your details, and we will contact you as soon as possible.